Twin brothers and MDC alumni Matthew and Michael Vega-Sanz had a brilliant idea one Friday night as they ordered pizza from their college dorm room. They didn’t have a car to order takeout. Ubering wasn’t cost-effective and delivery fees were too steep for their favorite pizza shop. So, they settled for another shop nearby. When the pizza arrived, they noticed how many cars were parked outside their dorm room, and soon, their app would be born. 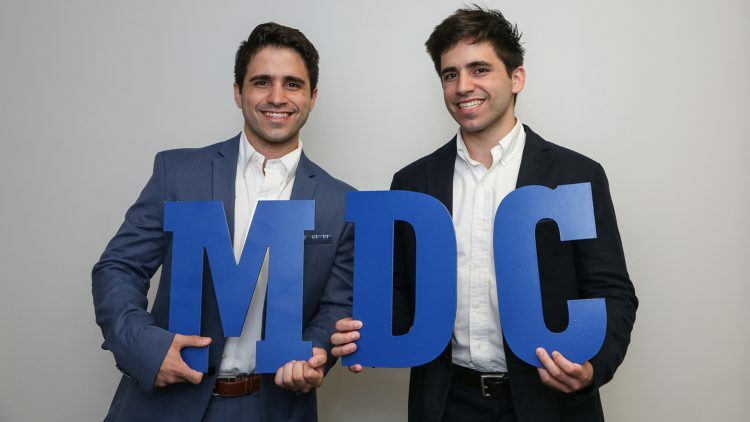 Miami natives Matthew and Michael began their education at MDC and transferred to Babson College, where they are currently studying business. The brothers had turned down their summer internships at prominent banks in New York City to work on their business idea out of their parent’s hay barn in the suburbs of Miami. They fleshed out the concept, calling it Lula (which means “convenient” in Zulu) and started testing it at Babson College. The Boston-based app quickly became popular among hundreds of of college students, and soon, they expanded testing to Tufts University and University of Massachusetts. Lula began as a car-sharing app that allows college students to rent out the vehicles of other students at affordable prices. For vehicle owners, it was an opportunity to make some extra cash. One of their greatest challenges in building the startup was obtaining insurance. They received more than 40 rejections over a 14 month-period before landing an agreement with the same insurer that works with Lyft. As the brothers continued working on the business, Lula soon garnered the attention of media like NBC and The Business Journal, and was ranked a top five startup by BostInno. This publicity not only legitimized their work in the eyes of their families, but helped the brothers land major investors in order to launch the app in an additional 25 schools this fall. Currently, Lula is the only peer-to-peer car sharing service in the U.S. that allows 18-year-olds to rent a car, and without steep fees. Michael and Matthew look back on their time at MDC as a crucial step in their journey, opening the door to many opportunities.